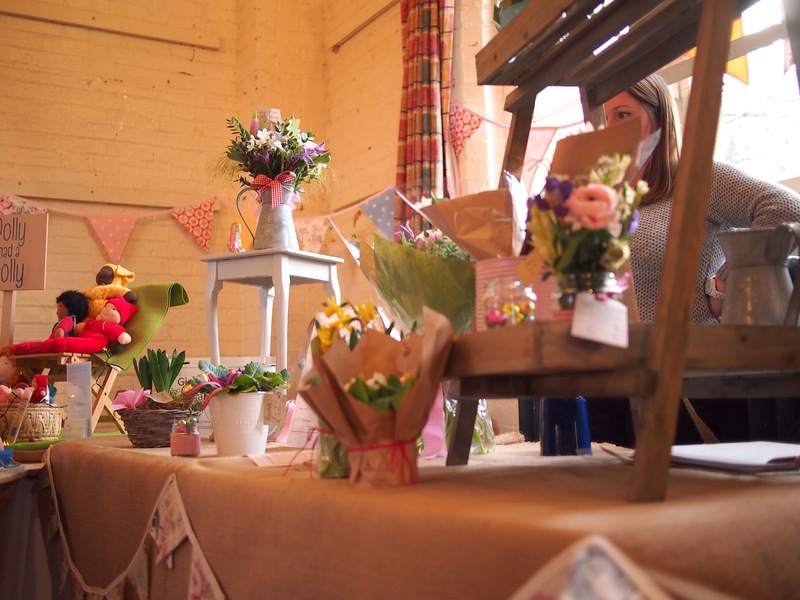 After much anticipation and excitement the time came for our lovely group of makers to set up the craft fair. 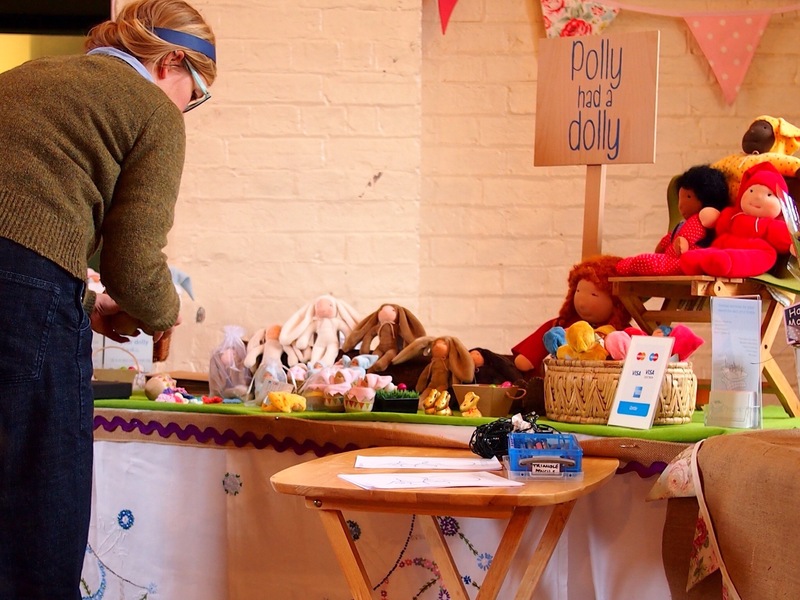 We didn’t have long so we were very busy bees… Here I am putting the finishing touches to my stall. 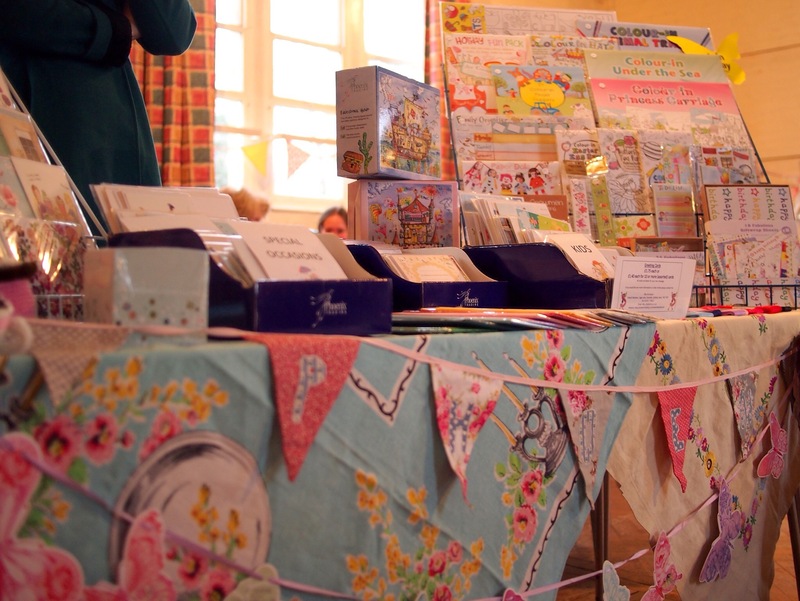 We had a lovely range of stall holders. Next door to me was Ginkgo Florestry and Gardening. Veronica’s flowers smelt amazing. 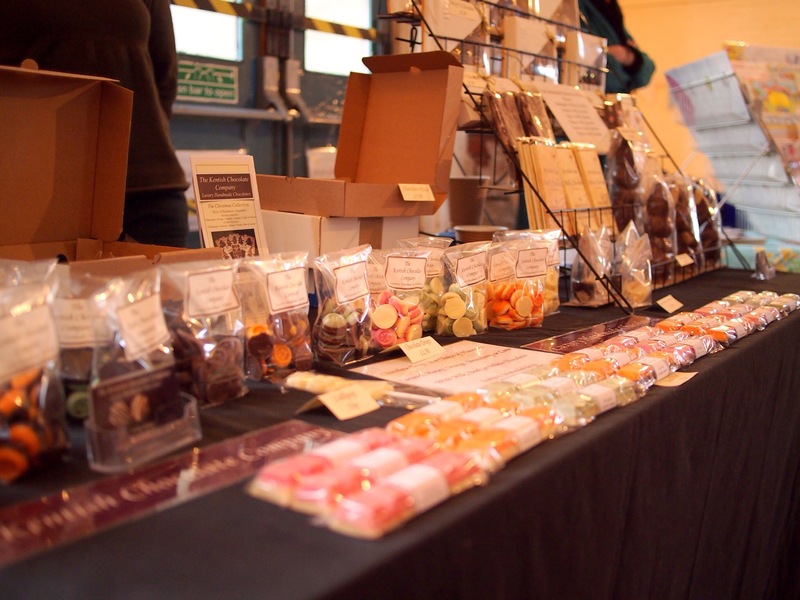 The Kentish Chocolate Company had a tempting range of luxury handmade chocolates. 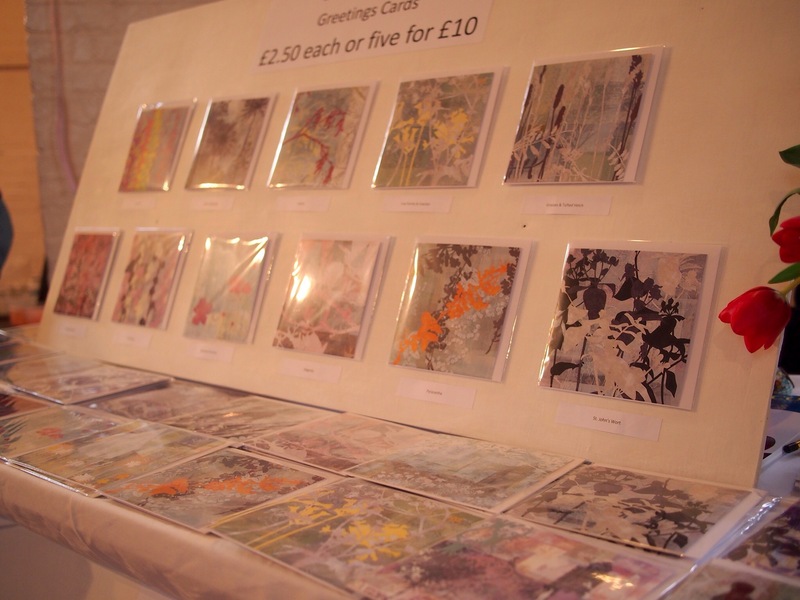 Phoenix trading, who support British illustrators, had their wonderful range of cards on offer. 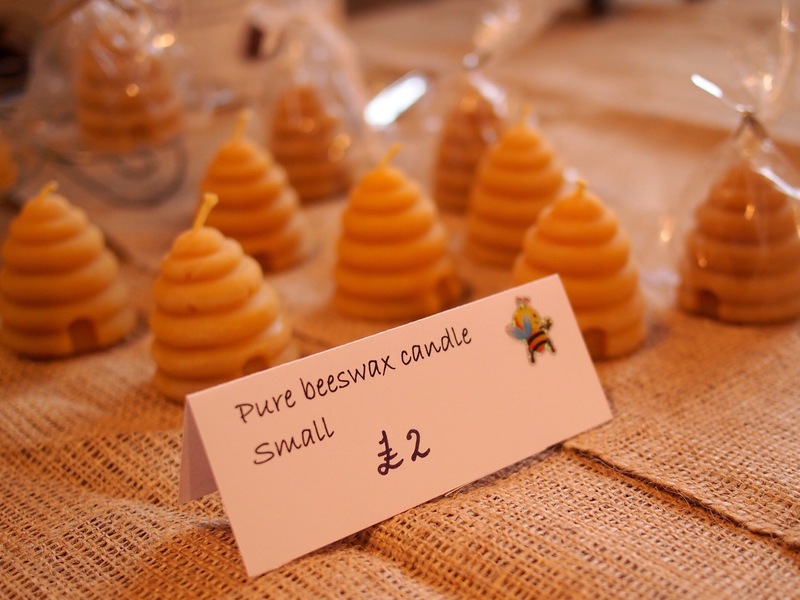 We had local honey and beautiful beeswax candles. 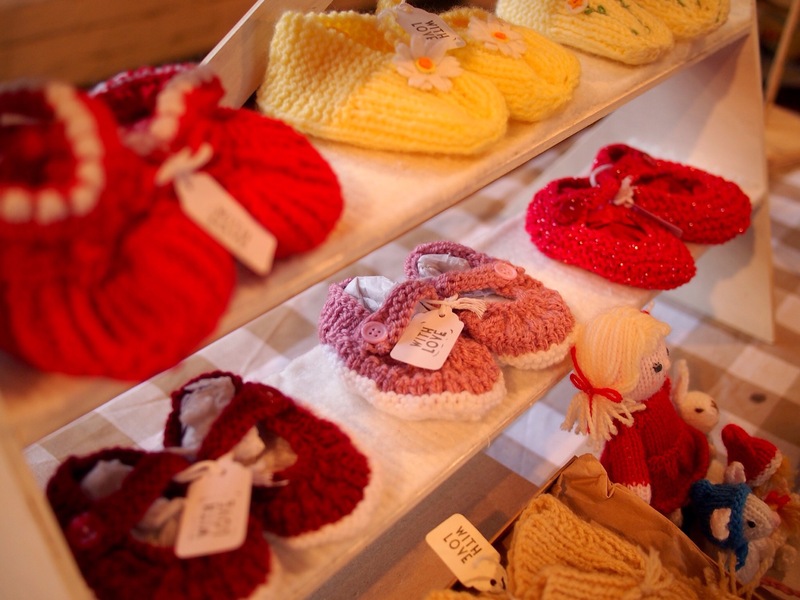 Blazing needles had a fantastic range of handknitted goods, all made by our lovely Becca Manning. 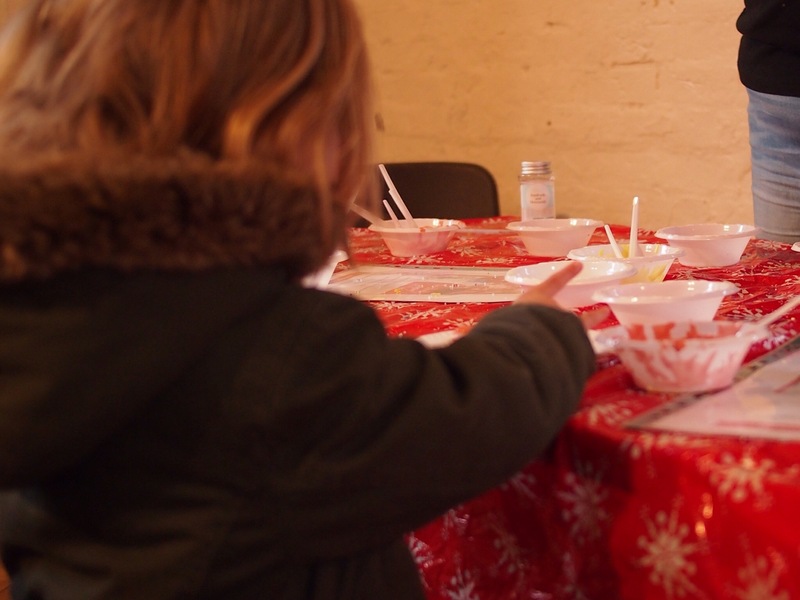 Crafty cooks had a stall for children to have a good at decorating one of her handmade biscuits. She does weekly cooking classes for preschool children. Our local artist Louise Pettifer had a selection of prints and cards, along with details of her next exhibition at Mascalls Art Gallery, Paddock Wood. 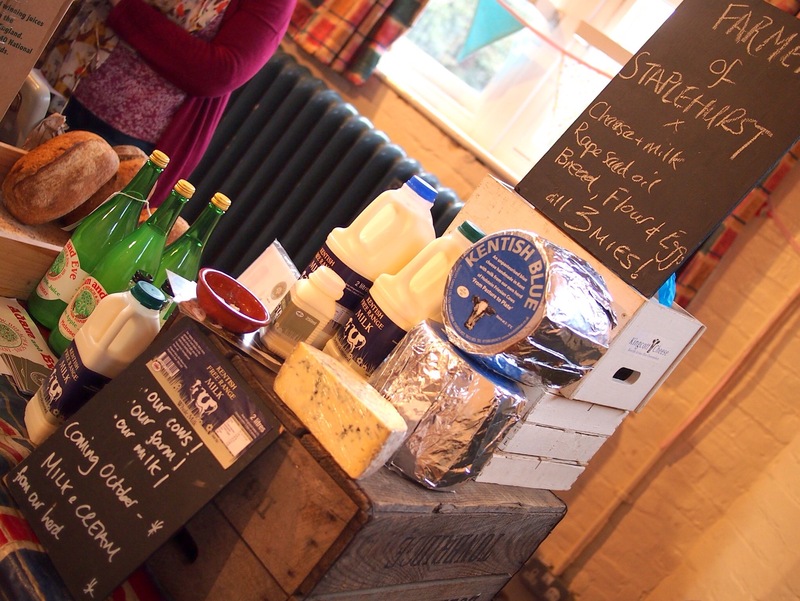 Foodies were satisfied by the high quality range of local produce on offer from Bardsley Farms. Donna’s new business Bombalicioius did really well and had nearly sold out when I took the photograph! 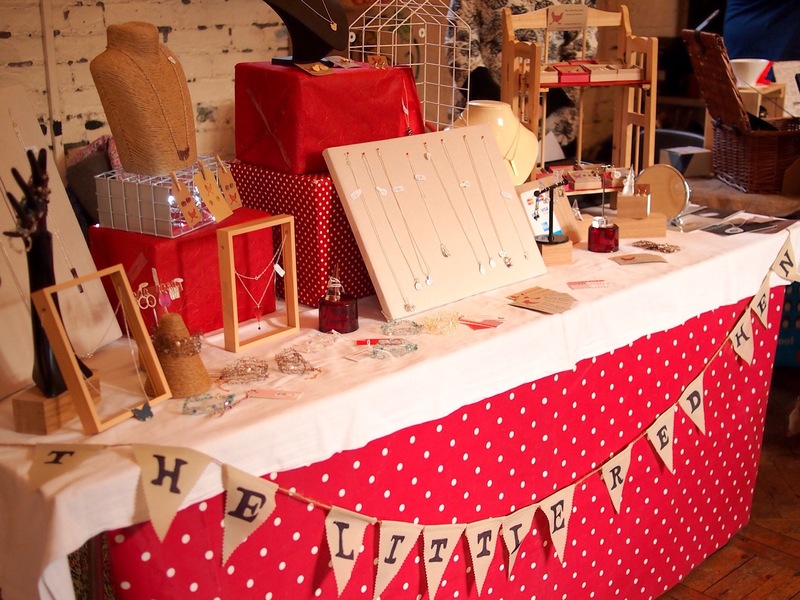 Our local silver smith, Alix Leeds from The Little Red Hen Jewellery had a beautiful stall, which was always busy! 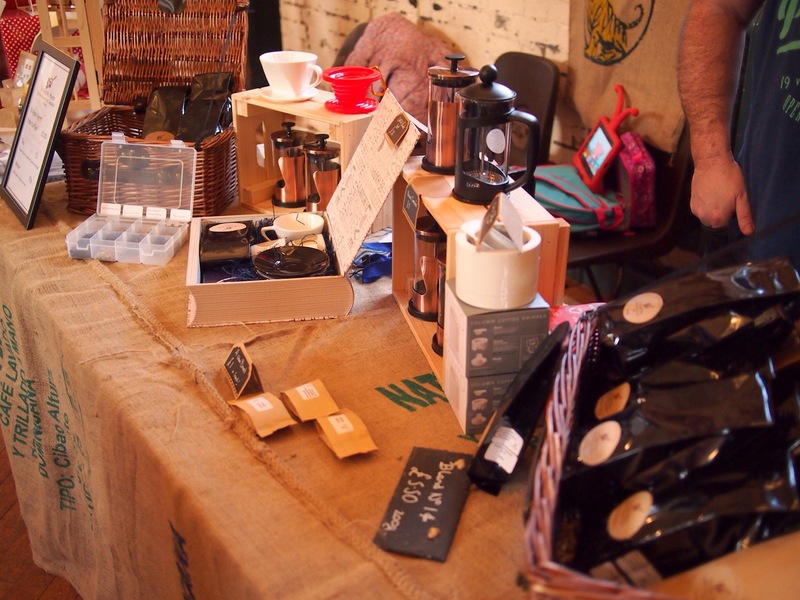 Right next to my stall was David from St Apple Hurst coffee. Amazing coffee roasted in our village! 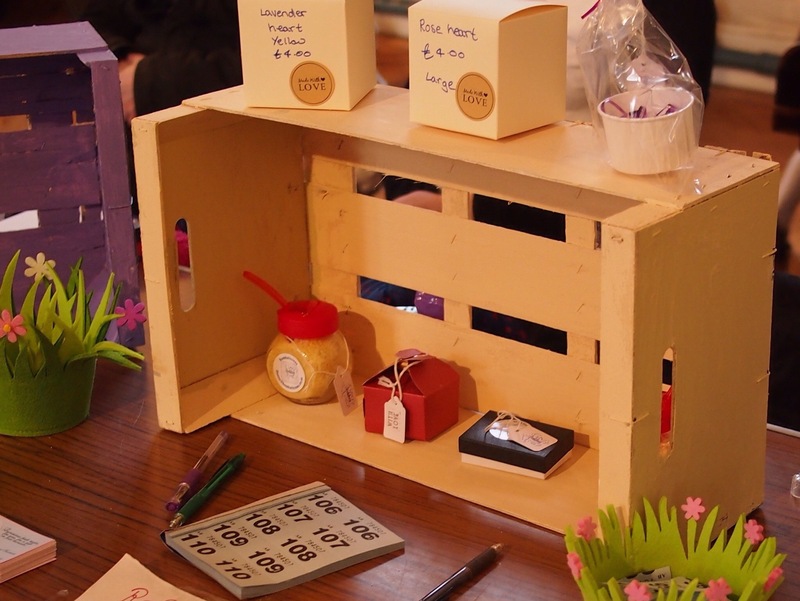 Our team of makers are meeting at Helen’s coffee shop on Wednesday – interested in joining us? Drop me an email at lydia[at]pollyhadadolly.co.uk.